Innovative, clear acne patches help to eliminate blemishes as they contain the affected area to minimize the spread of bacteria.Two custom sizes allow for complete coverage as concentrated 0.5% Salicylic Acid works overnight and throughout the dayto effectively reduce and heal blemishes. Tea Tree Oil, a natural astringent that helps clarify and refresh skin, helps prevent the spread of blemish-causing bacteria. 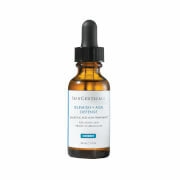 Hyaluronic Acid is a natural humectant that helps hydrate skin to prevent excessive dryingand irritation. Each adhesive patch is a fully contained treatment to protect from infection and preventthe spread of acne causing bacteria. Because treatment is contained to affected area only,product will not rub off or cause unnecessary irritation or dryness to surrounding skin.In six sheets of 12, Acne-Clear Invisible Dots are translucent, minimizing visibility when worn. 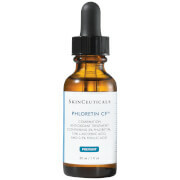 Addresses acne without drying or irritating. Before application, clean and dry affected area. Peel back an appropriately sized patchfor the individual blemish. Gently press adhesive side over blemish, covering completely.Press edges to secure and contain affected area. Allow to remain in place throughoutthe day or night to permit healing. Do not apply makeup or any other topical productover the patch. I initially received this as a sample. After inspecting, I had zero expectations that these little circular patches would work. I stand corrected. Although I have mature skin, I still get breakouts in my oily T-zone and especially on my chin. These patches clear up even the nastiest zit overnight. In fact, the first one I used was on my nose. When I woke up in the morning, I had forgotten that I even had the blemish because it was gone. Also, the patches are truly clear and adhere all night, so I didn't even recall having the patch on. Only when I washed my face and felt the patch did I recall having put it on the night before. And no red mark or discoloration remained, so I didn't have to use concealer. I may even try to get away with using these during the day if needed because they are truly invisible.